I was flipping through old home-renovation memoirs and look what I found! 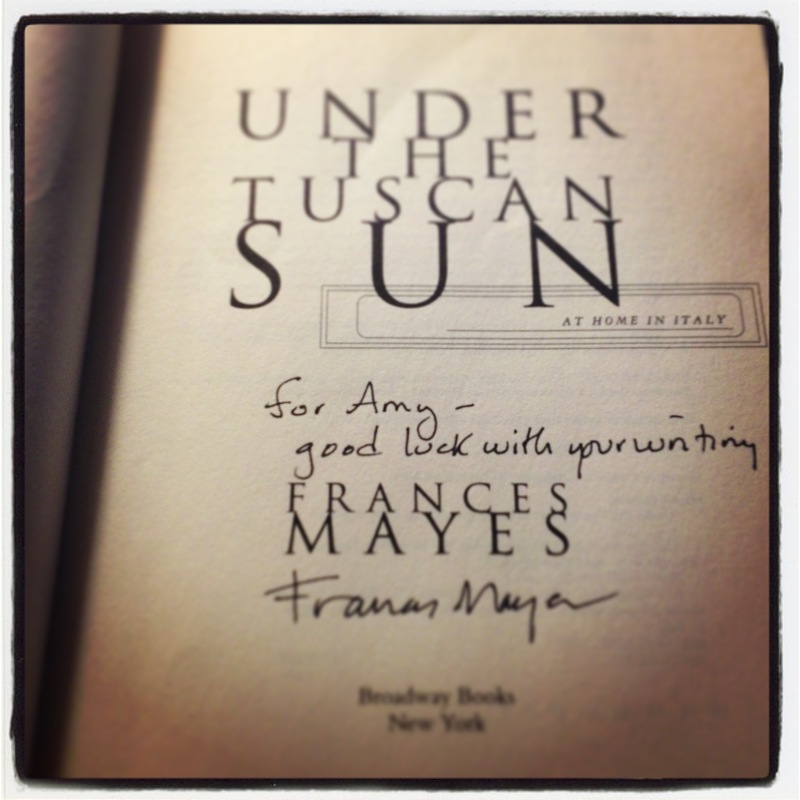 Frances Mayes, the queen of buying a crazy old house, signed my book. I’d totally forgotten. With any luck and elbow grease, Matilda will turn out like Under the Tuscan Sun. I’m taking this as a sign for me and Karl. Thanks for the encouragement, Frances!